As children go back to school, more moms are heading out for anti-aging treatments in the U.K., with one in five mothers saying that they feel pressured to look good on the daily school run, according to a report. British cosmetic surgery clinics The Harley Medical Group say that they have seen an 18 per cent increase in women wanting a "mummy makeover," such as Botox, dermal fillers, and facial peels, reports The Daily Mail on Monday. A spokesman for the Group, which has clinics across the U.K., said more mothers have been booking treatments throughout June, July, and August, compared to the previous three months. Other popular treatments include laser treatments for pigmentation and brown spots, as well as dermal fillers. The goal? Not a total transformation but to keep their looks fresh and glowing post-holidays, the report said. While the trend may be booming in the U.K., Americans still dominate with their Botox obsession. The latest figures claim that the US represents 45 per cent of the world market for cosmetic treatments, followed by Brazil. 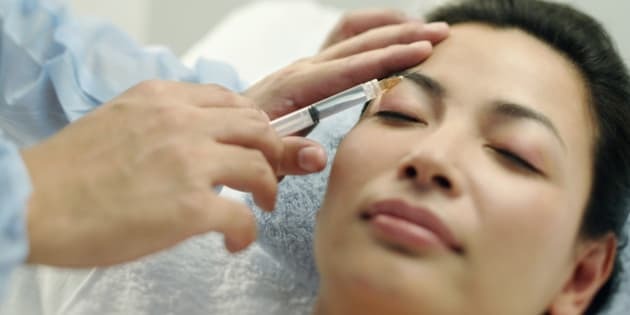 Other Botox-loving countries topping the global charts are China, Japan, and Mexico. Italy ranks as Europe's biggest plastic surgery market, followed by France and Germany.